“I didn’t want to be just another dentist on the corner. I came to Weatherford because I wanted to establish relationships with people.” Ask Dr. Johannsen why he set up in Weatherford, TX and he’ll tell you something along these lines. And if you’ve been one of his patients, you know this to be true. Getting to know and care for the people around him was part of his upbringing since his Mom (from New Mexico) and Dad (from Iowa) met at a wedding. Why? The bride at this fateful wedding was his Mom’s sister, and the groom was his Dad’s brother. When both couples had kids, Dr. Johannsen became part of a super-cousin quartet who he is fortunate to have grown up with here in the DFW area. Coming from a devoted family, he looks forward to helping his family, friends and neighbors smile. Dr. Johannsen’s mom is a lawyer and his dad is a custom home builder, but Dr. Johannsen grew up wanting to be a marine biologist. Thankfully, he changed his mind, but he has always been interested in biology, science, and medicine. His dad’s profession (and full shop in their home garage) gave him an opportunity to appreciate working with his hands and tools. Credit that for his steady hands today. As an undergrad at the university of Arkansas, he started off doing clerical work for the NW Arkansas Free Health Clinic. His primary responsibility at the clinic was paper work, and after growing up working with his hands, paper work wasn’t his passion. Then, a friend told him about volunteering in the dental clinic one night a week. On the first day, he performed a couple of extractions and he found exactly what he was looking for. After receiving his Doctorate of Dental Surgery degree from the Baylor College of Dentistry in Dallas, he completed an Advanced Education in General Dentistry post-doctoral program at the University of New Mexico. Dr. Johannsen’s advanced training focused on surgical and implant dentistry, conscious sedation, root canals, and restorative dentistry. 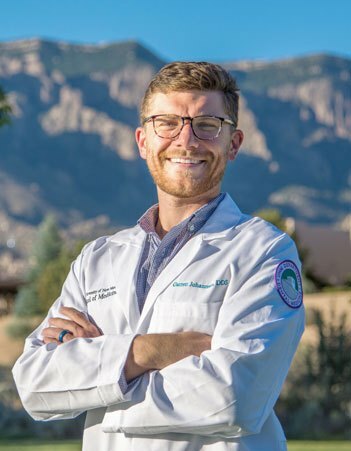 In addition, Dr. Johannsen received experience in treating patients at the University of New Mexico Hospital and providing bedside emergency care for both adults and children. Dr. Johannsen is currently a member of the American Dental Association, Academy of General Dentistry, Texas Dental Association, and Fort Worth District Dental Society. He enjoys furthering his education within the field of dentistry, while incorporating cutting edge technology and knowledge into every day practice. He is currently working toward becoming a Fellow in the Academy of General Dentistry. 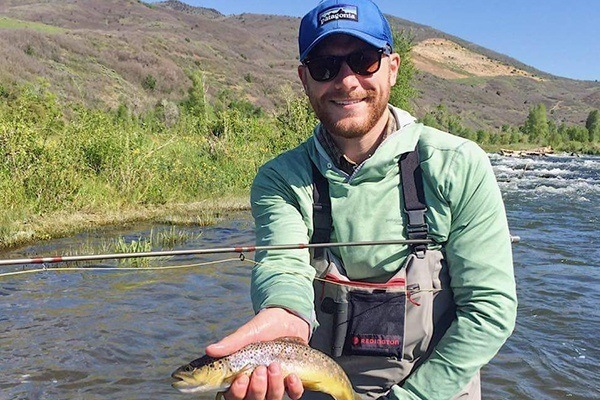 Growing up, Dr. Johannsen wasn’t afraid to learn and try new things. Beyond time in his dad’s shop, he learned to play the cello, trombone, and guitar. While he’s no Stevie Ray Vaughan, he plays enough to convince you that he could start moonlighting down at the Texas Opry Theatre. Dr. Johannsen and his wife, Ellen, enjoy spending as much time outdoors as possible, and they hope to become dog parents very soon. 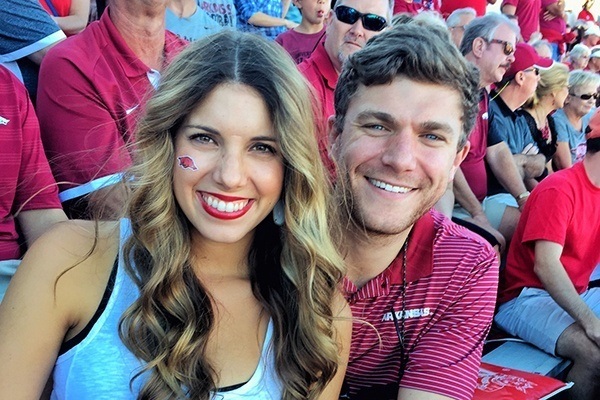 His hobbies include hiking, playing golf, exercising, and cheering on Arkansas Razorback athletics, the Texas Rangers, and Dallas Cowboys. 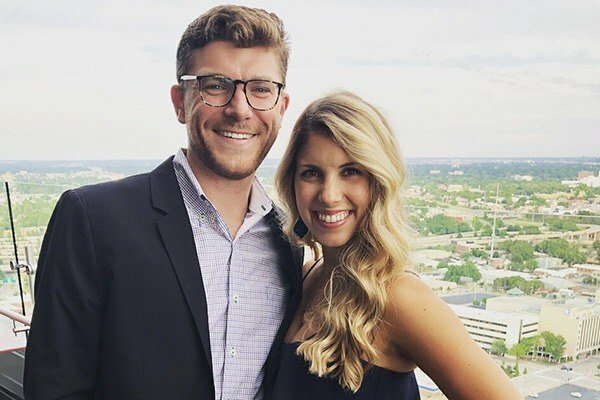 He takes an annual trip to Fayetteville, AR to visit family and catch a Razorback game, and he goes to the Texas A&M – Arkansas Southwest Classic in Arlington every year. For this native Texan, his favorite sports memory was living the two consecutive World Series the Rangers played in 2010 and 2011. Forget that they lost, getting caught up in the fun and emotion of the World Series is a sweet memory.